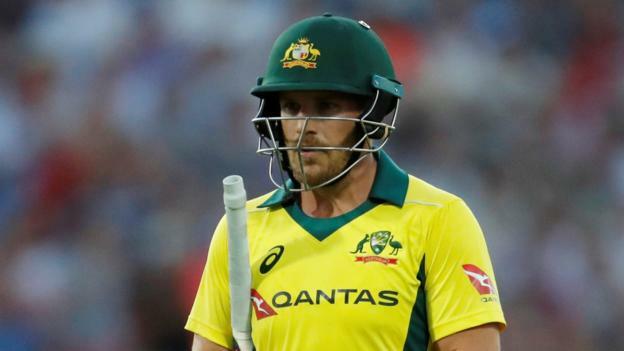 BBC – Australia captain Aaron Finch broke his own record for the highest Twenty20 international score by hitting 172 from 76 balls against Zimbabwe in Harare. Australia captain Aaron Finch broke his own record for the highest Twenty20 international score by hitting 172 from 76 balls against Zimbabwe in Harare. Finch beat the previous highest, which was his 156 against England in 2013. He just failed to beat Chris Gayle’s record score of 175 for all T20 cricket when he was out hit wicket with two balls of Australia’s innings left. Finch’s opening stand of 223 with D’Arcy Short is also a record stand for T20 internationals for any wicket. Australia made 229-2, with Short scoring 46 from 42 balls, as they set the hosts 230 for victory in the third game of a T20 tri-series also involving Pakistan.